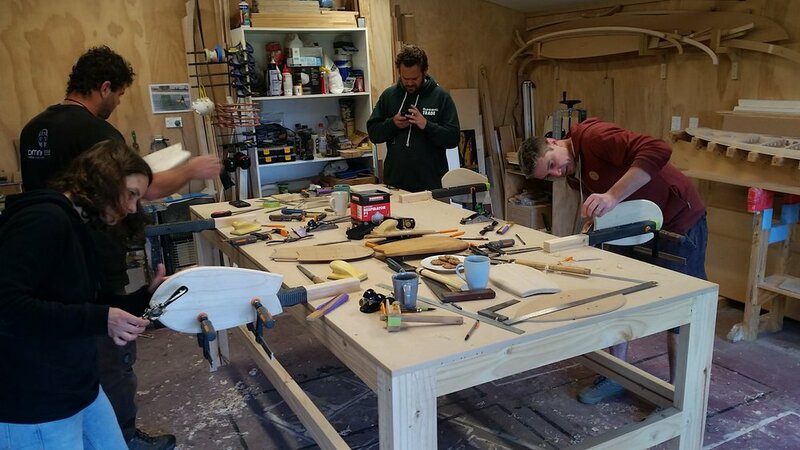 Come and join us for a day in the workshop creating your own bodysurfing handplane. We will give you some of our preferred finish blended from natural oils and waxes required to waterproof your handplane ready for it’s first dip in the ocean. Body surfing is the perfect way to enjoy just being in the ocean. Handplanes turn your leading hand into a larger planing surface. This gives you drive and control along the wave. allowing you to control your position and maximise the length of the ride. Get in touch with us below to book your spot.